Set atop a hillside hundreds of feet above Hebden Bridge, its origins date from Anglo Saxon times. At the centre of the village are the ruins of the Church of St Thomas the Beckett, founded between 1256 and 1260 and severely damaged in a great storm of 1847. The present day parish church was built in 1854. The graveyard is the final resting place of the poet Sylvia Plath, wife of Ted Hughes and of David Hartley, leader of the notorious Cragg Vale Coiners, who was executed in York in 1770. 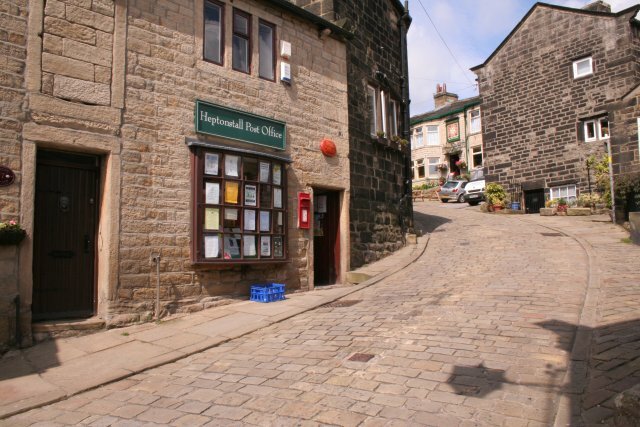 Visit the local Heptonstall Museum, housed in the old school house and now with free entry, to find out more.